We have different openings for Master thesis projects, for example in the area of information management and recommender systems. Contact me by email in case you are interested. I joined the Department of Applied Informatics at AAU Klagenfurt as a full professor in 2017. Before that, from 2008 to 2017, I was a full professor of Computer Science at TU Dortmund, Germany. My main research theme is related to the application of intelligent system technology to practical problems and the development of methods for building knowledge-intensive software applications. Generally, my research interest is broad and I have been working on a number of topics over the years, including recommender systems technology, knowledge-based systems development, constraint-based systems, semantic web applications and web mining, special topics in operations research and applications of AI planning as well as on specific software engineering problems in the area of the development and debugging of declarative programs. Among others, my research has been published in IEEE TKDE, Artificial Intelligence, JAIR, UMUAI, ACM TIST, ACM TiiS, Journal of Web Semantics, J of Human Computer Studies, Journal of Systems and Software, Automated Software Engineering, IEEE Intelligent Systems, Annals of Operations Research, and in the proceedings of IJCAI, AAAI, RecSys, ICDM or ISWC. Between 2003 and 2008, I was a co-founder, technical director and later managing director of a startup company that created an award-winning software tool for the development of interactive sales applications. I received the Advancement Award by the Province of Carinthia (Förderungspreis des Landes Kärnten) in the area of Technical Sciences in 2006. In 2018, I was recognized as an Outstanding Reviewer for Springer’s Journal of Information Technology and Tourism, and of the IJCAI-ECAI ’18, ICWSM ’18 and ACM Hypertext ’18 conferences. I received an award for the best annual paper published in the UMUAI journal in 2015 and an ACM Distinguished Paper Award at ICSE 2018. (Co-)Guest editor of a Special issue on Content-based Recommender Systems for UMUAI (Springer), 2019. (Co-)Guest editor of the Special issue on Recommender Systems of the Journal of Data Semantics (Springer), 2015. Co-chair of a Dagstuhl seminar on Unifying Product and Software Configuration, Dagstuhl castle, Germany, April 2014. Co-Editor of the UMUAI special issue on Context-aware Recommender Systems, 2013. (Co-)Guest editor of the Special issue on Measuring the Impact of Personalization and Recommendation on User Behaviour in IJ on Human Computer Studies, CFP issued 2008. (Co-)Guest editor of the Special issue on Recommender Systems in the AI Communications journal, 2008. Keynote talks at the IntRS workshop and the ComplexRec workshop (Slides) at ACM RecSys 2017. Paper presentation at the VAMS workshop at ACM RecSys 2017, Como, Italy, 2017. AAAI 2012 ITWP Workshop, Toronto, Canada, 2012. EuSprig 2012, Manchester, UK, 2012. Invited presentation at ENTER 2012, Helsingborg, Sweden, 2012. Fifth ACM Recommender Systems Conference, Chicago, 2011. Co-chairing the ITWP and Configuration workshops and giving a tutorial on Recommender Systems at IJCAI 2011, Barcelona, 2011. Session chair at ACM Conference on Recommender Systems, Barcelona, 2010. Joint Conference on Knowledge-based Software Engineering in Kaunas, Lithuania, 2010. Two paper presentations and co-chair of the Workshop on Intelligent Techniques for Web Personalization and Recommender Systems at UMAP 2010; session chair at UMAP 2010, Big Island, Hawaii, 2010. Paper presentation and co-chair at the Workshop on Intelligent Techniques for Web Personalization and Recommender Systems at IJCAI’09, Pasadena, 2009. Co-chairing the Workshop on Intelligent Techniques for Web Personalization at AAAI’08, Chicago, 2008. Talk at Conference on Software Engineering and Knowledge Engineering, San Francisco, 2008. Participation in Dagstuhl Seminar on the Evolution of Conceptual Modeling, Dagstuhl castle, 2008. Session chair and talk at ICE-B: International Conference on E-Business, Barcelona, Spain, August, 2007. Chairing the Workshop on Recommender Systems at AAAI’07, Vancouver, 2007. Two talks on “IEEE Conference on Intelligent Systems”, London, September 2006. Session chair and talk at ICE-B: International Conference on E-Business, Setubal, Portugal, August, 2006. Two presentations on “IEA/AIE 2006”, Annecy, France, June 2006. Talk at 29th German Conference on Artificial Intelligence, Bremen, Germany, 2006. Session chair and talk at IEEE Conference on e-Technology, e-Commerce, and e-Service, Hongkong, 2005. Workshop-talk at “European Semantic Web Conference”, Crete, 2005. European Conference on Artificial Intelligence, Valencia, Spain, 2004. Web Information Systems Engineering Conference, Brisbane, Australia, 2004. Intl. Conference on Software Engineering and Knowledge Engineering, Banff, Canada, 2004. Intl. Conference on Web Engineering, Munich, 2004. Intl. Conference on Industrial & Engineering Applications of Artificial Intelligence & Expert Systems, Ottawa, Canada, 2004. Workshop on Configuration at Intl. Joint Conference on AI, Acapulco, Mexico, 2003. European Conference on Artificial Intelligence, Lyon, France, 2002. Artificial Intelligence Applications, Innsbruck, 2002. Artificial Intelligence in Design, Cambridge, UK, 2002. Workshop on Configuration at IJCAI’01, Seattle, 2001. Web Intelligence Conference, Maebashi, Japan, 2001. Annual German Conference on Artificial Intelligence, Vienna, 2001. Workshop “Planen und Konfigurieren”, Vienna, 2001. Intl. Conference on Industrial & Engineering Applications of Artificial Intelligence & Expert Systems, Budapest, Hungary, 2001. Intl. Conference on Software Engineering and Knowledge Engineering, Chicago, USA, 2000. Talk at “Configuration Workshop”, European Conference on Artificial Intelligence, Berlin, 2000. World Manufacturing Congress, Durham, UK, 1999. Workshop “Planen und Konfigurieren”, Würzburg, 1999. Intl. Conference on Artificial Intelligence and Planning Systems AIPS’98, Pittsburgh, 1998. Invited talk on recommender systems at Trinity College Dublin, Ireland, February 2018. Talk on configuration systems engineering at Laboratoire d’informatique de Paris 6, France, April 2015. Talk on recommender systems at UFRGS Institute of Informatics, Porto Alegre, Brazil, March 2015. Invited presentation on recommender systems at the Dagstuhl seminar on Preference Learning, Dagstuhl Castle, April, 2014. Invited talk and research visit at Universidad Adolfo Ibanez, Santiago, Chile, December 2013. Invited guest lecture talk on spreadsheet debugging and research visit at TU Graz, Austria, October 2012. Talk on recommender systems at University of Bonn, Germany, September 2012. Colloquium talk on personalized information services at RWTH Aachen, Germany, October 2011. Talk on recommender systsems and sales advisory systems at the Free University of Bozen/Bolzano, Italy, December 2010. Presentations on recommender systems technology for industrial audience, Dortmund, December 2009 and May 2010. Talk on new approaches for building intelligent software applications, Technical University Graz, Austria, Fall, 2007. Talk on recommender systems in e-Tourism, University Innsbruck, Austria, 2007. Talk on intelligent electronic services, University Dortmund, Germany, Fall, 2006. Invited talk on business process improvement and IT (case study) on “Mass-customization in practice”, Klagenfurt, 2006. Talk on knowledge-based product configuration on International Mass Customization Meeting, Klagenfurt, 2005. Talk on recommender system technology on workshop on “New results in planning, scheduling, and configuration, Ulm, Germany, 2004. From November 2017 on, chair of the curriculum committee “Information Management” at AAU Klagenfurt. February 2011 to April 2012: Vice Dean of the Department of Computer Science in Dortmund. Development of a new business-oriented specialization area curriculum in Computer Science at TU Dortmund, 2008; responsible for student recruitment activities for the department between 2009 and 2011. From 2006 to 2008 Programme Manager for Informatics/Computer Science at University Klagenfurt. Chair of the curriculum committee “Informatics”; member of curriculum committee “Information technology” until 2008 at University Klagenfurt. 2007-2008 Vice-chair of the Institute of Applied Informatics at University Klagenfurt. Responsible for management and co-ordination of teaching activities of the Computer Science institutes from 2000 to 2003 in Klagenfurt. Member of various appointment promotion committees, external reviewer for academic promotions at international universities. Member of the Faculty Council of the Department of Computer Science at TU Dortmund (2010-2012, 2014-2016). 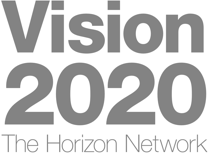 Decision Making in a Digital Age – DECIDE (2019-2021).  Funded as graduate school by Alpen-Adria-Universität Klagenfurt through the program “Humans in the Digital Age”. Debugging of Spreadsheet Programs (2015-2018). Funded by DFG and Austrian Science Fund. Joint project with TU Graz, Austria, and Alpen-Adria-Universität Klagenfurt, Austria. Exquisite – Excel Quality Suite (2011-2014). Funded by the state of North Rhine-Westphalia (Germany) through the European Regional Development Fund (EU). iKnow: Innovation and Knowledge Management towards eStudent Information System (2010-2012). Funded in the TEMPUS Programme (EU). Entwicklung eines Systems für die integrative Lebensmittelüberwachung im Verbund amtlicher und privatwirtschaftlicher Institutionen (2009-2012). Funded by the state of North Rhine-Westphalia (Germany) through the European Regional Development Fund (EU). C2DSAS: Command and Control Decision Support and Advisor Services (2007-2009). Funded by FFG / Kiras Programme (Austria). V-Know: Collaborative Knowledge base debugging and refinement. (2007-2010). Individual project – funded by FWF (Austria). CDM@AIRPORTS: Intelligent decision management in the context of airport operations (2004-2006). Funded by FFG (Austria). ALLRIGHT: Automated product data extraction from web sources (2005-2007). Funded within Austrian FIT-IT Programme. Project application and preparation, principal researcher and technical lead for ConfigWorks GmbH. etPlanner: Project funded by the Austrian Network for e-tourism on intelligent recommenders in e-tourism, mobile services, and user interface adaptation (2005- 2008). Research, technical consulting on behalf of project partner ConfigWorks GmbH. KOBA4MS – Advanced techniques for rapid development of knowledge-based advisory systems (2004-2006). Funded by FFF (Austria). Researcher, technical consulting for ConfigWorks GmbH. TECTRANS: Project aiming at transferring mass-customization technology into industrial practice (2005-2006), funded by KWF (Austria). MACUS: Interdisciplinary project on mass customization, variety steering, and corresponding IT support (2003-2005). Funded by Österreichische Nationalbank. CAWICOMS: Customer-Adaptive Web Interfaces for Configuration Systems with Multiple Suppliers (1999 – 2003). Funded by European Commission.